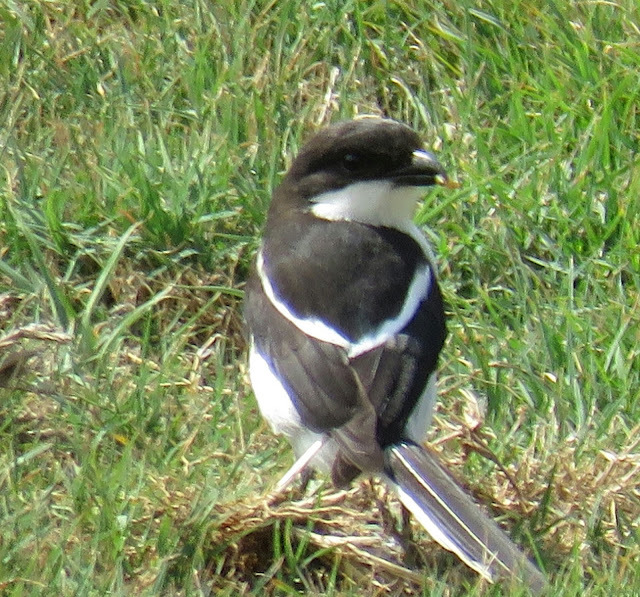 We can ID this shrike as a Southern Fiscal by its location in Johannesburg and by its black and white pattern, long tail and white shoulder patches. The Southern Fiscal was previously lumped together with the Northern Fiscal as the the Common Fiscal. This species was split into the Northern Fiscal and Southern Fiscal. The two species can be found together in Angola, Tanzania and Zambia. The Northern Fiscal is found north of these countries and the Southern Fiscal soouth of them. The Southern Fiscal is a new species to our Life List, which now stands at 321.